Family Law Attorney, Mary Zogg proudly serves the Marital Property, Divorce, and Family Law legal needs of those in Orlando, Central Florida, and Fort Lauderdale. Call 321.209.1878 to schedule an confidential legal consultation regarding your Marital Property, Divorce, and Family Law matters. The law concerning marital property versus non-marital (separate) property varies from state to state. Some states are community property states while others are equitable distribution states. In community property states, it does not matter whose name is on the ownership documents: almost all property during the marriage will be considered as owned by both parties in the marriage. There are special circumstances where these states do make some exceptions and you will want to consult with your divorce attorney to see about your specific rights. On the contrary, equitable distribution states determine marital property to be those that have the names of both spouses on the ownership titles. If only one spouse’s name is on an official document then the property is considered separate and belongs to that specific spouse. Like community property states, the states utilizing equitable distribution laws also have room for special circumstances and exceptions. Call Orlando Family Law Lawyer, Mary Zogg at 321.209.1878 to discuss your Marital Property, Divorce, and Family Law needs and goals. 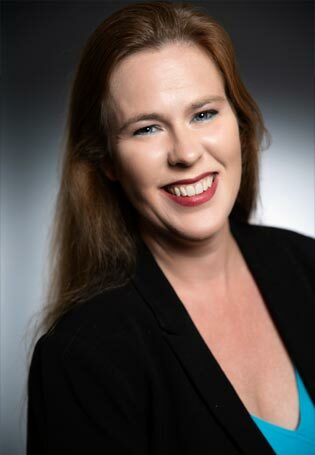 Mary Zogg has extensive experience in assisting Orlando, Winter Park, Maitland, Longwood, Central Florida and Fort Lauderdale residents who require professional Marital Property, Divorce, and Family Law Attorney legal services. Attorney, Mary Zogg serves the Marital Property, Divorce and Family Law needs of those in Central Florida including Orange County Florida, including: Orlando, Maitland, Apopka, Winter Park, Alafaya, Bay Lake, Belle Isle, Bithlo, Christmas, Doctor Phillips, Eatonville, Edgewood, Fairway Shores, Goldenrod, Gotha, Hunter's Creek, Lake Buena Vista, Lockhart, Meadow Woods, Oakland, Ocoee, Orlovista, Pine Castle, Pine Hills, Southchase, South Apopka, Taft, Tangerine, Union Park, Wedgefield, Williamsburg, Windermere, Winter Garden, Zellwood, Osceola County Florida, including: Kissimmee, St. Cloud, Campbell, Celebration, Champions Gate, Deer Park, Four Corners, Harmony, Intercession City, Kenansville, Narc oossee, Poinciana, Reunion, Yeehaw Junction.